Do you love heirloom tomatoes as much as we do? 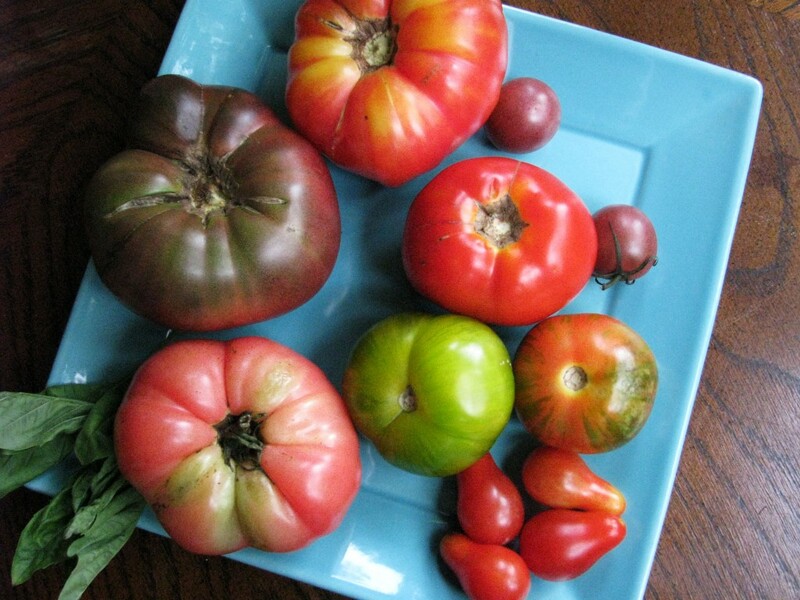 Show off your heirloom harvest at the Slow Food Chicago TomatoFest Potluck. Saturday, September 24, at the Chicago Honey Co-op! Chicago TomatoFest benefits the preSERVE garden, a partnership between Slow Food Chicago, the North Lawndale Greening Committee, Chicago Honey Co-op, and NeighborSpace. Arrive at the potluck early and help the group harvest black eyed peas and crowder peas from the preSERVE garden! Don’t worry if you can’t come early, tours will be given of the preSERVE garden and the Chicago Honey Co-op, an urban apiary dedicated to beekeeping training and sustainable agricultural practices. Bring your tomatoes, a potluck dish for sharing, and your chairs/picnic blankets. Bee Etiquette: Please wear light colored clothing and a hat. Don’t wear perfumes, colognes, or scents. Directions: 3740 W. Fillmore is 2 blocks North of Roosevelt Road between Independence Boulevard and Central Park. The apiary takes up the whole block on the north side of Fillmore and is easily visible from the street. There is plenty of street parking available. Driving: Take I-290 West to Independence Boulevard. Exit and go South about 3 blocks just past the old railroad viaduct. Turn left on Fillmore Street. We are located in the middle of the block. By train: There is a Blue Line stop at Homan/Kedzie. Walk the ramp toward Homan Avenue, walk South on Homan approximately 5 blocks just past the 12-story 1905 original Sears Tower. Fillmore is the first street beyond the tower. Walk 2 blocks West to the apiary. By Bus: Homan/Kimball bus to Fillmore Street and walk west 2 blocks. $10 Slow Food Chicago and Chicago Honey Co-op members, $15 non-members. Kids are free!